My favorite part about Sunday is family and food! This turkey club sandwich is my go-to meal that never disappoints! I helped create this gluten free masterpiece with Once Upon a Bagel! 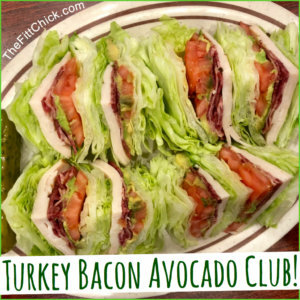 I always add avocado and skip the light mayo! I usually add my own Primal Kitchen mayo or just use mustard! If you are eating out or ordering in you should LOVE YOUR MEAL! Find foods you crave and don’t deprive yourself of ANYTHING!